Time will prove that great work does pay off, it is a matter of time. Patience plays an exciting role when it comes to a Drop shipping business or any other kind for that matter. If you are looking for dropship tools to automate and makes things easier for you and your business then this is your lucky day, and you might just keep that luck if you stick around. 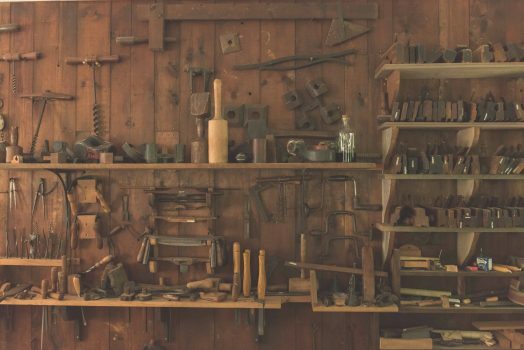 You can obviously do without some of the tools, if not all, but after seeing what most of these tools can do you’ll end up knowing how useful they can be to you. SKU Grid is one of the oldest drop ship tools around. They provide a HUGE variety of ways to help you be more efficient. From listing on eBay to repricing your items on both eBay, and Amazon, and now they are even launching a Bonanza lister and provide you the ability to start your very own Woocommerce store. This can be helpful for you because, with so many abilities, you can branch out your business from just eBay. What is even more cool about this tool, is that if you are using Spot N Paste, you can sync the two together and retrieve your items quick for order processing. If your looking for something that is a bit more like a suite to help you maintain your eBay store only, then DSMTool could be what you are looking for. DSMTool gives you the ability to list and manage 50 items for free. Anything above that or if you want to use a specific supplier could incur some fees. But they are minimal. They also offer you the ability to have auto order, semi-auto order messaging and tracking upload. OAGenius is very unique. There are not many options for Amazon drop shippers, making OAGenius one of the first Amazon listers, and inventory management software. Created by those who also brought you informed.co. This nice piece of software syncs with informed.co for some of the best pricing management. For order management, Spot N Paste is directly integrated into their software. This gives you the ultimate software for managing your Amazon drop ship business. A very popular email automation tool that is beginner friendly and cost-efficient. MailChimp makes it easy for you to create campaigns and connect with some of your existing tools. If you’re just starting out you’ll love to hear that it is free for your first 2000 subscribers to your mailing list and the first 12,000 emails per month so let’s just say that you won’t be paying for some weeks if not a month or two depending on your marketing strategies of course. Use a tool like Zapier? You can easily connect your eBay & Amazon seller central. Sell on Shopify? Perfect because you can set up your integration with Shopify within your MailChimp account. You can consider this a semi-ordering tool, which will obviously save a lot of your time. This helps automate your ordering process with the option of copying and pasting your customer’s details. Quickly add items to Amazon cart, mark orders as ordered, and even sync with a few dropship tools that were mentioned above. Not to mention its the only ordering tool that works on eBay, Amazon, AND Shopify, AND you can use any supplier that you want with the one of a kind memory feature. This gives you the ability to program your supplier into the extension so that you can quickly paste it next time. As you can see, with the right tools you can make a good change, in fact, a very noticeable one if you know what you’re doing. How much you pay for the tools depends on the plan you choose which is based on your needs. The free trials come very handy so make sure you use that to your advantage.